Edward Thomas "E.T." Triplett, Jr. Celebrating the life of Edward Thomas "E.T." Triplett, Jr.
Obituary for Edward Thomas "E.T." 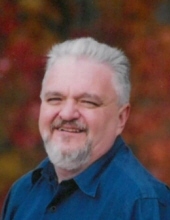 Triplett, Jr.
Edward Thomas “E.T.” Triplett, Jr. 66, of Axton, VA passed away Tuesday, April 2, 2019 at Stanleytown Health and Rehab. He was born on December 9, 1952 in Danville, VA to the late Edward Thomas Triplett and Bertha Louise Motley Triplett. Mr. Triplett loved to hunt, ride ATV’s, and loved his great-nieces and nephew very much. He attended Anderson Chapel United Methodist Church. He worked for Brown Products for over 26 years and worked for Zenith Logistics. He is survived by his wife, Barbara Holland Triplett of the home; sister, Susan Triplett Coleman and husband, Danny of Dry Fork, VA; niece, Christy Coleman of Dry Fork, VA; nephew, John Coleman and wife, Amber of Dry Fork, VA; and great- nieces and nephew, Bailey, Makayla, and Ian Coleman. A funeral service will be held at 11 a.m. on Friday, April 5, 2019 at Norris Funeral Services, Martinsville Chapel with Rev. Wayne C. Moore officiating. Visitation will be from 6 p.m. to 8 p.m. on Thursday, April 4, 2019 at Norris Funeral Services. Norris Funeral Services, Inc. and Crematory of Martinsville, VA is serving the Triplett family. To send flowers or a remembrance gift to the family of Edward Thomas "E.T." Triplett, Jr., please visit our Tribute Store. "Email Address" would like to share the life celebration of Edward Thomas "E.T." Triplett, Jr.. Click on the "link" to go to share a favorite memory or leave a condolence message for the family.